Oral Language & Writing Skills - Capital Area Speech & O.T. Children’s future writing difficulties can be identified before they even learn how to begin writing, according to a new study by Professor Phaedra Royle and Postdoctoral fellow Alexandra Marquis of the University of Montreal’s School of Speech Language Pathology and Audiology. The researchers are interested in oral language skills and their impact on grammar and spelling learning. 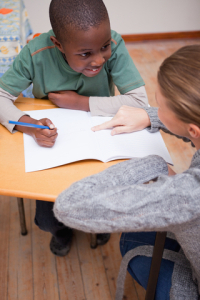 Their work shows that oral language is a good predictor of writing difficulties. “The more children are able to use verb tense in spoken language, the more easily they can learn written language,” explained Professor Royle. On a different note, the research data also contradicts the popular belief that bilingualism at an early age can be detrimental to oral and written language learning. Questions? Need More Information? Call us: 512-250-8706 We are here to help!